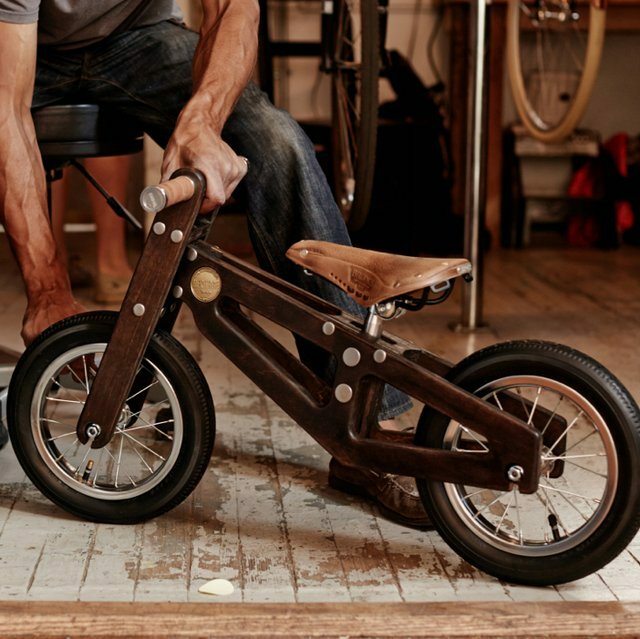 The Bennett Balance Bike from Heritage Bicycles is a wooden bicycle for children. It has no gears or chains or any of the fancy stuff that turns bicycles into high-maintenance metal monsters. The easy to reach handles and the adjustable low bike seat make it ideal for children to use for 3-4 years from the age of two all the way up to five or six when they are old enough to start pedaling. The whole point is to wean your children away from tricycles and get them used to balancing two-wheeled bikes before they actually start careening around the neighborhood on one. The frame of the Bennett Balance Bike is inspired by bridge designs found in Chicago, and the rounded wooden seats and solid handle-grips make it comfortable as well as visually appealing.